While everyone loves seeing a dog leaning out of the window having the time of his life, it’s actually incredibly dangerous for him. There are many things that could happen to your favorite little guy if he’s sticking halfway out of your vehicle – he could get hit with rocks, or worse, a vehicle. Not to mention how much danger he would be in if you got into an accident. Invest in a pet restraint for your furry friend – this helps to keep him and you safe in the case of an accident. They have adorable seat belts made specifically for your pet! Plus, you’ll be less likely to be distracted by your dog jumping from one seat to another. We have to mention this just because it seems people haven’t understood the dangers quite yet: Never leave your pet in the car alone on a hot day. Just like babies, dogs can’t handle that heat (nor can they do anything to cool themselves down). 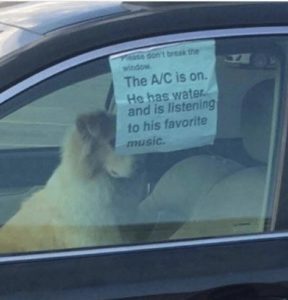 So, do your pet a favor and either roll the windows down while you’re parked in the shade, or take them into the store with you! 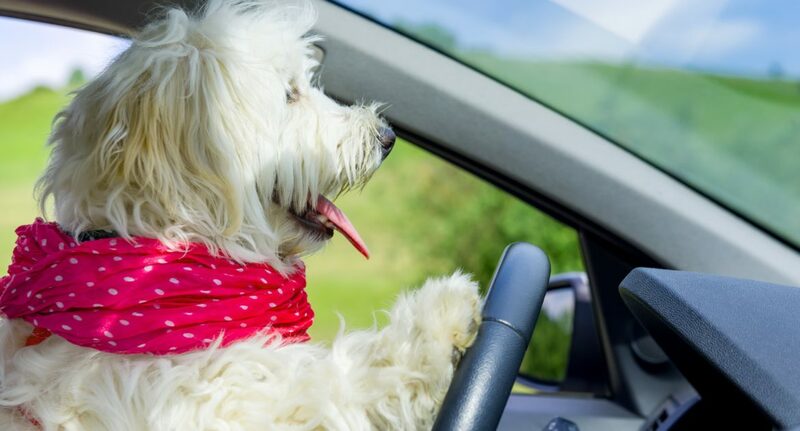 Don’t forget to take frequent pit stops during longer journeys with your furry friend. Remember, they’re not used to the car as much as you are, and they have smaller, more excitable, bladders. Making those stops will help calm them down and lessen the chance of them getting sick in the car. Going on adventures with pets can be so much fun, and extremely rewarding. Don’t make it a bad experience by being unprepared though! Your pet isn’t invincible, and neither are you when you get in a car accident with them. An experienced lawyer is the only way to go when you need an attorney after getting in a car accident – so call Tad Morlan today!